Most marketing is aimed at attracting new customers and leads to your business, but it’s easy to forget that your existing customers matter a lot, too – maybe even more. Studies show that existing customers are nearly twice as likely to convert as new leads when it comes to other products and services. BI Intelligence found that new customers had an average conversion rate of 2.4% compared to 4.5% from those who had bought before. And it’s not just conversions – they also found that add-to-cart rates greatly improved and bounce rates decreased when looking at existing customers. New customers leave 34.8% of the time as opposed to just 24.4% for returning customers. A happy customer is a return customer! While it’s true that there are plenty of fish in the sea, shouldn’t you spend some time showing love to those who have already shown an interest in your products or services? You already have their contact information and even more detailed data, like what they buy, how long their purchase decisions take, how much they spend, whether coupons influence their decisions, etc. So not only do existing customers convert better, but you already have all the tools you need to unlock that potential for them to come back again and again. Compare that strategy to fighting for new customers and think about how much effort you spend just trying to get their basic info. Here’s how to increase e-commerce upsells with e-mail marketing. Sure, it’s great to e-mail your customers a copy of your new seasonal catalog (that’s technically cross-selling). But you can go so much further than that. After the first sale, you have enough information about your customers to provide more specific, targeted recommendations to them. This tip – be personal – applies to every other tip listed here. 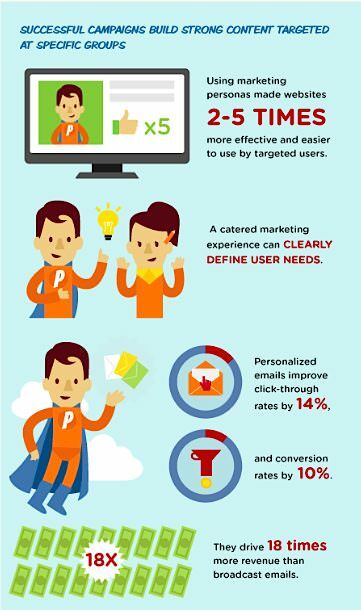 Each strategy you implement should be done with personalization. You need to tailor your communication in a way that is personal to the customer (or at least segment) as well as personal to your business. This is part of what makes good e-mail list segmentation important. It’s difficult to be 100% personal with every communication, but segmentation can help you get closer by messaging specifics to certain groups within your customer base. Read on for how to do this. 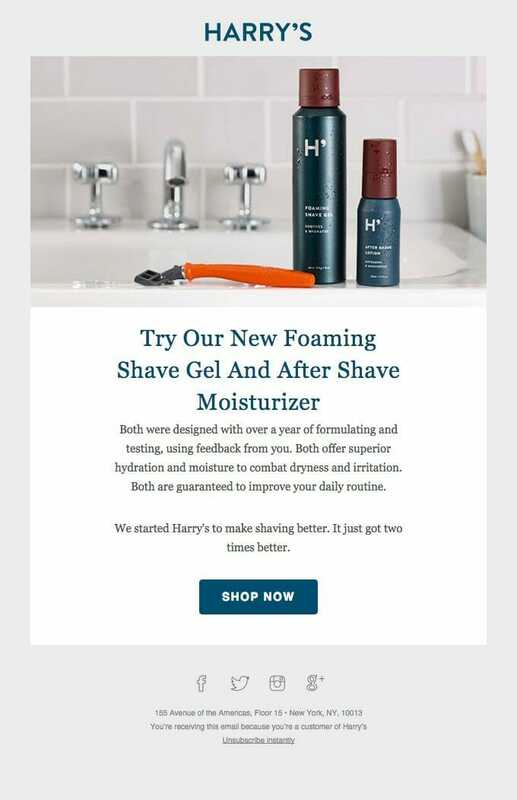 A great example of personalization, and a great way to reinforce your relationship, is by showing and talking about recently purchased products. Ask your customer if everything is to their satisfaction, and if so, ask if they would be so kind as to leave a review. Take any excuse to remind them that they’ve trusted you with their money in the past and it paid off, so why not trust you again? Buying is a very emotional process for most people that comes with tons of triggers, both before and after the sale. By showing customers recently purchased products, you activate those triggers and remind them of the positive experience you’ve already hand-delivered them. This is what makes post-sale support and personalized marketing so important. A great example is Amazon, who do this ALL the time. I’m not suggesting that you go that overboard (though it does seem to be working for them…), but you can start by simply sending a follow-up e-mail a few days after each customer has received their product. Be sure to include a photo of the product to quickly trigger the association. This one is a bit more tricky to provide specific advice for because it’s very dependent on your business. You should send the cross-sell/upsell e-mail whenever you believe that the customer is most open to conversions. Right timing includes things like time of day and day of the week. But most importantly, your message must arrive when the customer is in the decision-making process. 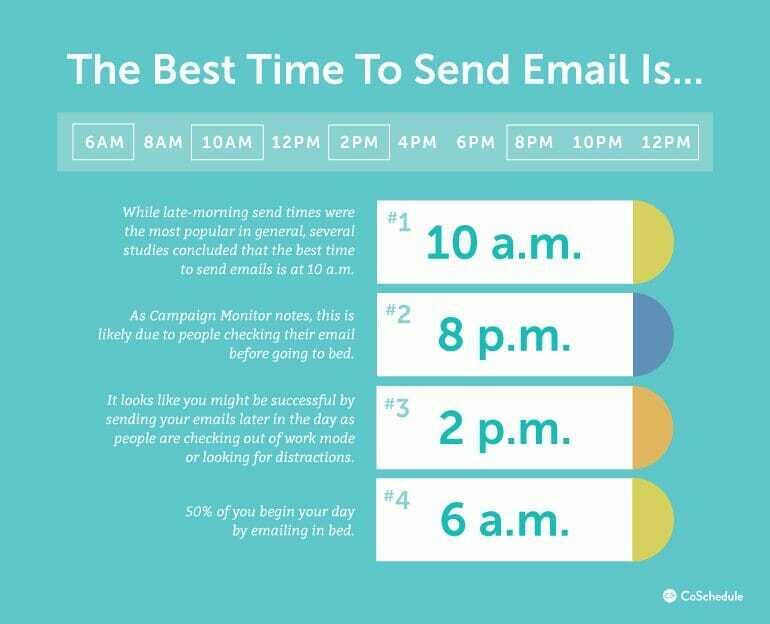 You’ll also want to make sure that you don’t spam or annoy your subscribers, so it’s important to get this e-mail timing thing down. Map out your customer journey. The whole journey. Too many marketers stop at “sale” even though nearly 1-in-3 customers will probably make another purchase that same year. 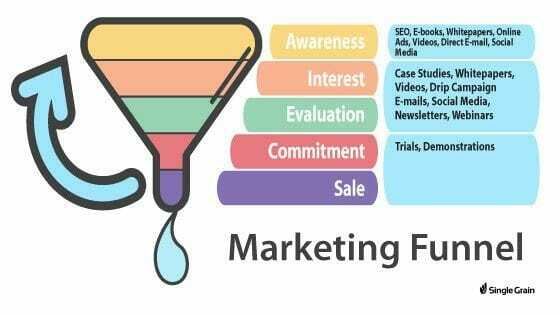 You need to keep in mind the “reflection” phase that follows the traditional funnel model and how that might lead to the awareness of new needs. For example, if you sell consumer electronics, you may want to follow up right after their purchase with offers for important accessories like a case for their new laptop or screen protectors for their new phone. If you sell running shoes, maybe you know that your average customer replaces their shoes every six months and e-mailing them in that window will dramatically increase the potential that they will purchase from you again. For e-commerce sellers, your timing will usually be based on some educated estimates about your sales cycle and backed up by customer order data. But it doesn’t have to be. You can find clever ways to incorporate cross-selling into your products based on use, too, like a promotion at the bottom of a box of consumables like tissues. If you target customers based on use, you’ll know you’re hitting them right at the sweet spot when they need more from you. Few people like being sold to, so the less salesy you are when you reach out, the better chance of success you’ll have. No one likes feeling manipulated, which is why so many catalog and promotional e-mails go unread and unclicked. If your e-mail feels like another advertisement, it is much more likely to be ignored. Instead, try offering value to your customer in order to strengthen this relationship. Now you’re giving the customer advice, rather than trying to sell to them. As you can see, this approach flows much more naturally. A simple P.S. at the end of an otherwise no-sale e-mail can be a great place to drop these lines. Another common technique here is to bundle your cross-selling efforts with other content. If you mail your customers weekly with any type of newsletter or digest, you can take that opportunity to include some offers. You can even tailor specific versions of that weekly e-mail to previous customers of specific products. If you are a high-end clothing retailer, for instance, you can make sure that people who bought designer leather handbags from you see promotions for other premium accessories, while those buying baby shoes will see additional clothes for toddlers. You don’t have to redo the whole thing. You should still use the same content for all your readers, but just pick one section of that content to customize based on the segment. Don’t stress about getting it perfect all on your own. You can ask your customers to help you help them. Many will welcome the opportunity. You will improve your recommendations by including their input. More relevant suggestions will increase conversion rates and increase sales. You will continue to build your relationship with customers as you learn more about them and include them in your process. If you’re providing specific product recommendations to customers based on their buying history, you should also give them the chance to log in to your website and “downvote” specific recommendations that they don’t feel are relevant. This lets them give you immediate input and improve your recommendations, not just to them, but to other customers with similar profiles. These questions give you insight into the problems and questions your customers have and thus what you should be selling to them. These questions usually come earlier in the upsell cycle, before the actual promotions are sent out to readers. Well, this one is a bit obvious I suppose. But you need to make sure that you include a suggestion or offer in your campaign at some point. Often the best way to do this is to tie the new offer to the previous purchase, highlighting how this new offer will help you compound the value you’ve already received. Got a kickass new laptop? Cool! Extend its life to get more out of your investment with that cooling pad. Love the new handbag you got last month? Guess what? We have shoes that match! This helps people speed through the decision-making process, jumping right through needs, awareness and interest, and on to desire. You already know that customers need or desire things – that’s why they purchased your product in the first place. Now you are telling them how they can get even more items that they will love and that will solve their problem (even if the problem is just looking great for their Christmas party). But there is only so much of that you can do. I don’t want to belittle more general cross-selling, which can still be very effective via e-mail. If a customer buys a lot of shoes, just keep sending them more offers for shoes. It works! The key with any product promotion is to quickly communicate the benefit that the buyer will receive, use great product images, and include a strong call-to-action. Now Go Out and Upsell! If you’re not already cross-selling and upselling your customers, the second best time to start is today (the best time was five minutes after your first sale). If you already are, awesome! Go through these tips and make sure that you are maximizing your conversion potential.